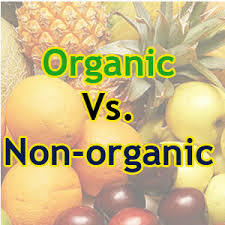 Question for cancer survivors- To Go or Not to Go Organic? Research on the nutritional benefits of organic fruits and vegetables has been mixed, and there have been no studies examining whether organic produce is better at preventing cancer or cancer recurrence than non-organic produce. Stephanie Meyers, a senior clinical nutritionist at the Dana-Farber Cancer Center in Boston, tells her clients to buy whatever produce they like, and to rinse all fruits and vegetables thoroughly with clean water. Buying organic foods is a personal choice, Meyer says, and cancer survivors do themselves no harm by not choosing to go organic.